The widow of a New Jersey pilot who crashed into a building in Florida over the weekend is in mourning as she wonders what went wrong. Jen Maxfield reports. 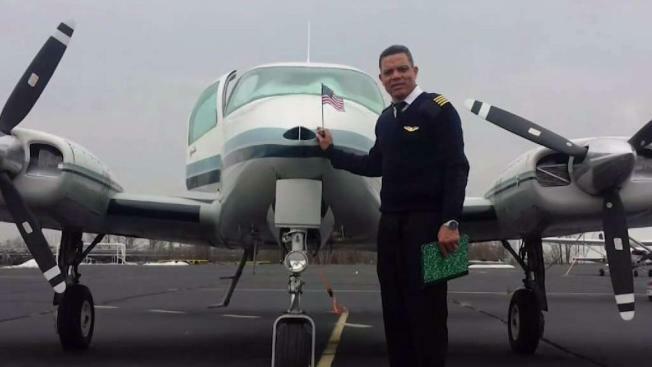 His widow, Belkis Marquez, told News 4 New York Tuesday that he was flying with a friend who was also a former flight student. She said Marquez had been flying for 12 years and been an instructor for 10. Belkis Marquez said while her husband's plane had recently had its annual maintenance, she thinks something was wrong on board. "The airplane was not in good shape because it was at the mechanic," she said. She doesn't believe her husband -- an instructor with 13 years of experience -- could be at fault. Air traffic control recordings reveal him telling control that an engine was on fire: "Fire in one of the engines, we are turning right back." "He never had another accident on the airplane," said Belkis Marquez. "He was an excellent pilot, and excellent instructor." The building Marquez's plane crashed into included a therapy center for children with autism. Video footage from a nearby business shows the plane skidding across the parking lot, trailed by heavy smoke, and then erupting into flames upon impact. Several people, including children, could be seen running out of the building. There were eight adults and five children inside the center at the time of the crash but none were injured. The Federal Aviation Administration and the National Transportation Safety Board are investigating the incident. Now Marquez's family is trying to face the holidays without their father and husband. At their home in Rahway, the Christmas tree is up -- but they were waiting for Eladipo to return home to decorate it. "It's so difficult for me and for my little son," his widow said. "Everyone loved him and he loved everybody."